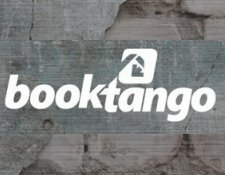 This week we’re pleased to cast the spotlight on Booktango — a free, online e-book editing platform based in Bloomington, IN. Booktango is a free, web-based editing and publishing platform where you can create, output, and market e-books in a number of formats. Unlike some of the other e-book editing or marketing suites on the market, Booktango does not take any royalties from your sales. 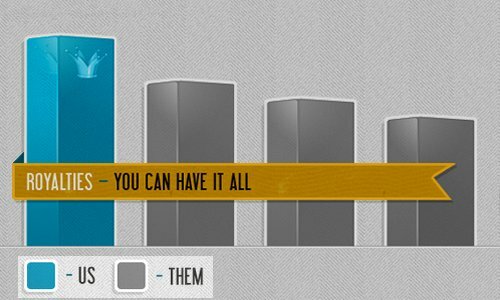 You keep 100 percent of the proceeds your e-books generate on its marketplace. With Booktango you can also upload your e-book to the major e-book marketplaces including Amazon, Barnes and Noble, iBookstore, and more. 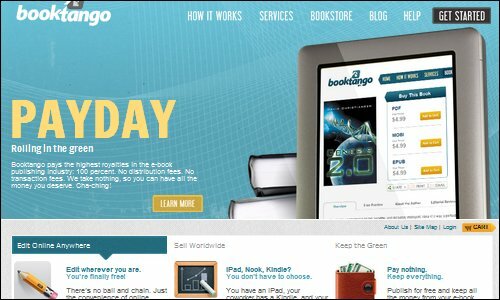 Booktango manages your sales on these sites, and the only charges and fees that apply are those levied by the major retailers themselves. You can create an e-book from scratch on the site or upload an existing manuscript from any word processor. The Booktango editor helps you edit, format, and output your e-book for use on the most popular readers, including Kindle, iPad, Barnes & Noble Nook, Sony Reader, and more. The core service, Freetango, is always free. The company also offers two premium (paid) packages — Timesaver and Trendsetter — each with increasingly in-depth publishing services to help you market your e-book. Before launching in January, 2012, Booktango interviewed a number of authors — both from the print and e-book worlds — to get their take on the book creation process. “Unequivocally, all the authors we interviewed described the traditional process of creating a book as a meat grinder,” says Chris Bass, Director of Marketing for Booktango. “Most self-publishing and DIY writing platforms are notoriously hard to use,” Bass says. For writers, “getting started is often the hardest part of the process,” he says. “Bogging down people with a platform that’s hard to use” is the death of a lot of creative writers, because they often give up before they begin, Bass says. In today’s multi-platform e-book reader world, writers have traditionally had to decide which platform they’re going to write for. That limits writers to a certain editor, hardware, or marketplace — which also limits their earning potential. According to Bass, using Booktango “is as easy as using Microsoft Word.” Writers that are self-sufficient and who can handle the entire e-book creation process themselves typically use the free version of Booktango. It’s a foolproof editor and sales tool that allows them to keep all their royalties. Booktango also offers “a la carte” services such as editing, book cover design, or even social media promotion, for writers who may need, or want, some professional help getting their e-books to market. “Booktango is the trifecta of e-book publishing world,” says Mr. Bass. “Our outputs work on all e-reading devices, we get your e-book on all the major e-bookstores, and it’s free,” he adds. Whether you’re an aspiring writer or a seasoned professional, the Booktango platform has a number of features and benefits that can help you get your e-books published — and make more money from them in the process. “It’s not just the traditional writer who can benefit from our platform,” Bass says. CEOs, business leaders and owners can all enhance their credibility with their peers, competitors and customers by having professionally published e-books on the market, according to Bass. “With our Bookstubs product, writers can tie-in a physical, tangible, and promotable product to their e-books,” says Bass. With e-book sales surpassing hard cover purchases for the first time in history, it appears that there’s never been a better time to become a published e-book author. Contact Booktango through its website, it’s Twitter account, or on its Facebook Page. Now through July 31, 2012, Booktango will provide 10 percent off a Trendsetter package — exclusively for Sprout Insights readers. Simply enter the promo code TREND0712 during the checkout process to redeem your discount! Know of any other startups that would make a good feature on Spotlight on Startups? Let us know in the comments below.